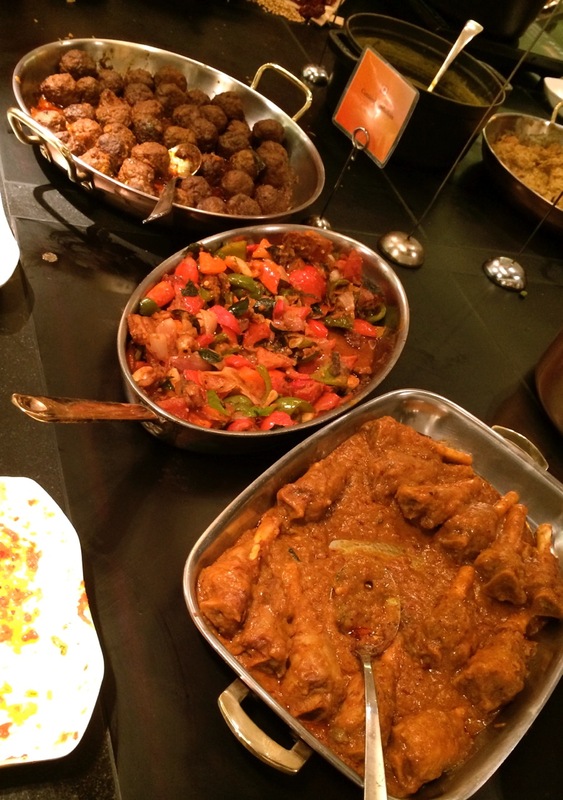 Desi Punjabi Eats, with Nostalgia! Remember those late night drives that would invariably end at a ‘Dhaba’, with piping hot Chholey, Tikkis, Tandoori Chicken, Seekh Kababs and crisp, finger-burning Tandoori Naans, with a river of melted butter? Along with thirsty sips of premixed Rum-n-Cokes from pet bottles? For many of us, those impromptu hang-out parties from college days were the fun beginnings of our foodie adventures. It doesn’t matter whether the road led past India Gate, or near Gateway of India, or outside the crammed Azad Hind Dhaba, or out to one of the highway dhabas with tired and hungry truck-drivers for company. The food was always hearty, hot, and delicious, and the appetite bordering on monstrous! 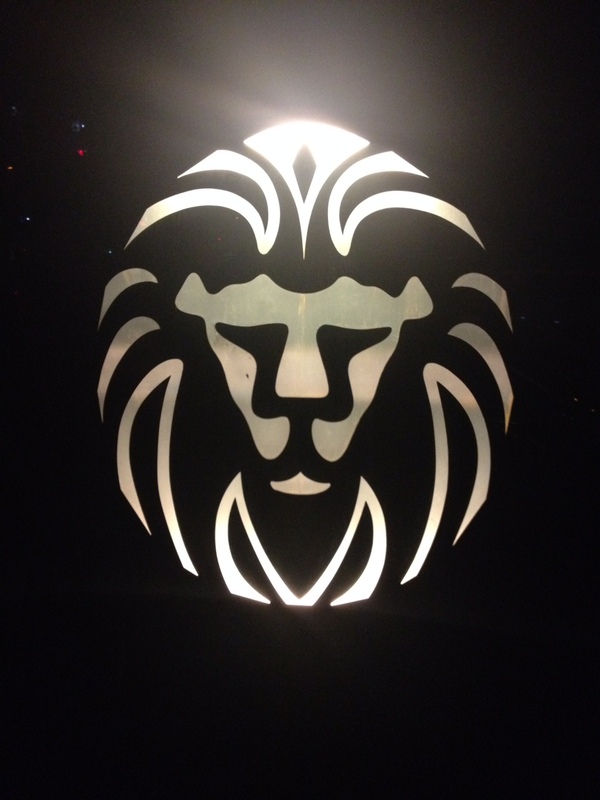 Last week, all those memories came gushing in at Punjab Grill. The drive was a short one, even by Mumbai standards. 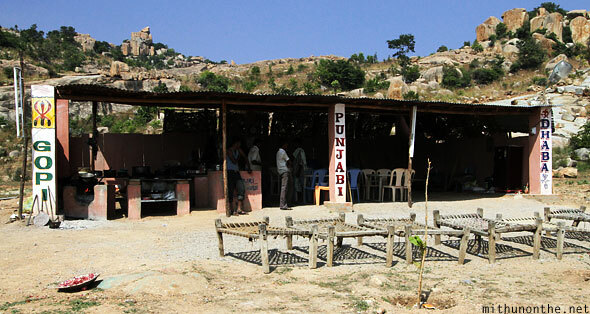 The wood-glass-brass restaurant was decidedly rich and swanky compared to its dusty, ‘Charpai’-laid highway cousins. And the food was a surprise twist on the good-old same-old dhaba favourites. 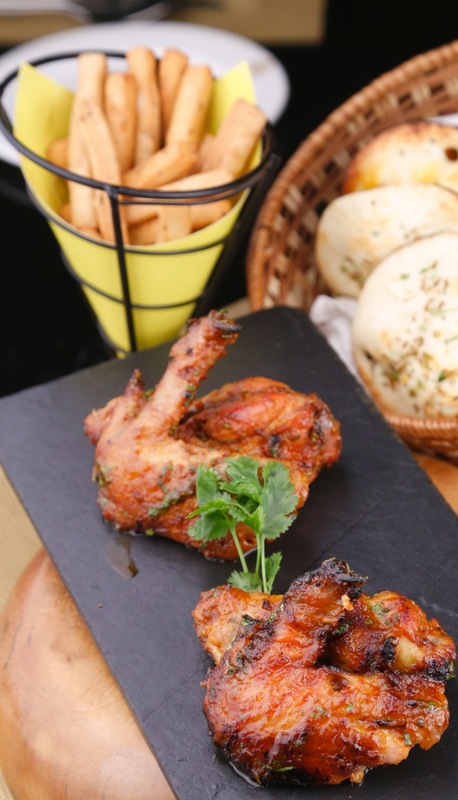 Chef Gurpreet Singh and his team’s new Chakhna Menu of Indian Tapas was, as it claims to be, ‘Dil Se Desi’! 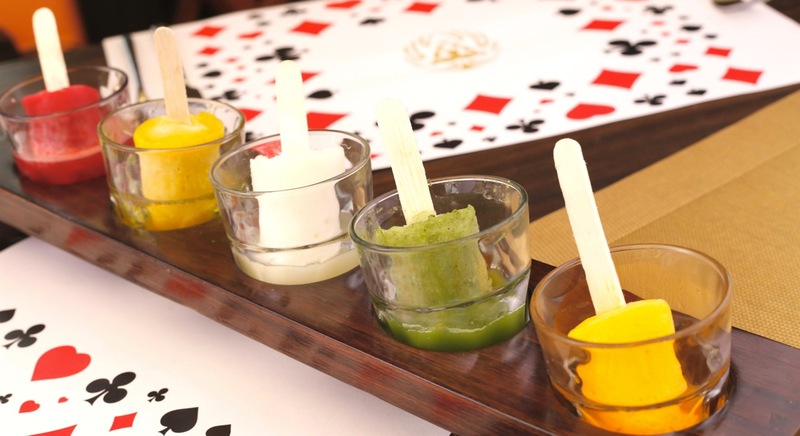 Mele di Chuski – flavoured ice-balls dipped in Vodka, the ‘Gola’ with a twist! That’s because every single item on the menu of Chakkos (drinks) and Chakhnas (small eats) was prepared keeping its ethnic essence intact, and adding a dash of flair here, a funny take there, or just a little splash of colour – or even sound! – to make it fun and appealing! 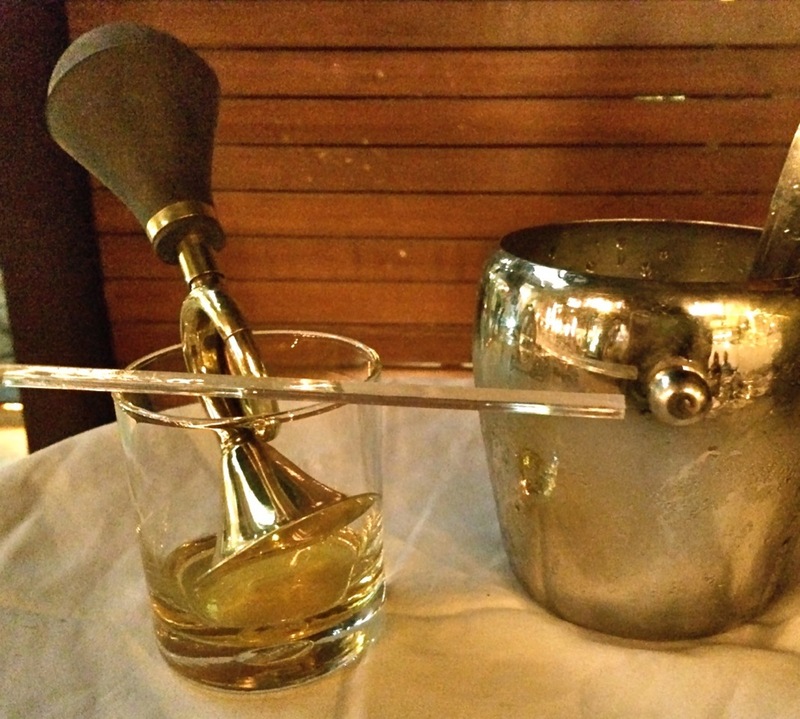 The Band Baaja Baraat Te Whiskey… single malt served with a hearty honk from the ‘Bhopu’!!! The Frozen Gooseberry Margarita is unique, fun n delish! And appealing they were! You couldn’t stop yourself from reaching out for the Gooseberry Frozen Margarita – a delicious take on the regular Margarita using the pulp of the strongly-flavoured Indian berry, Rasbhari, frozen with liquid nitrogen and served bubbling and smoking at your table! 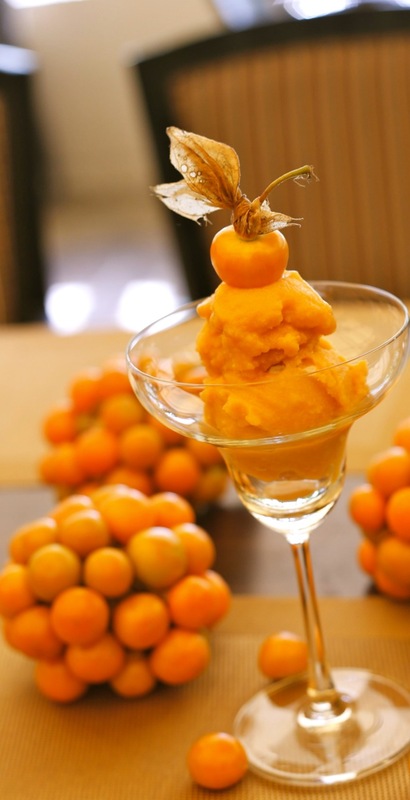 Or the Mele Di Chuski – colourful balls of crushed ice (the all-time fairground favourite ‘Gola’) flavoured with Mango, Pomegrenate, Lime etc. and dipped into Vodka inside Chai glasses. Yum! The eats were unique too… The ‘desi’ take on BBQ Chicken Wings was the tender and delicious Tandoori Kukkad Wings, coated with a tangy-spicy Imli (tamarind) sauce. 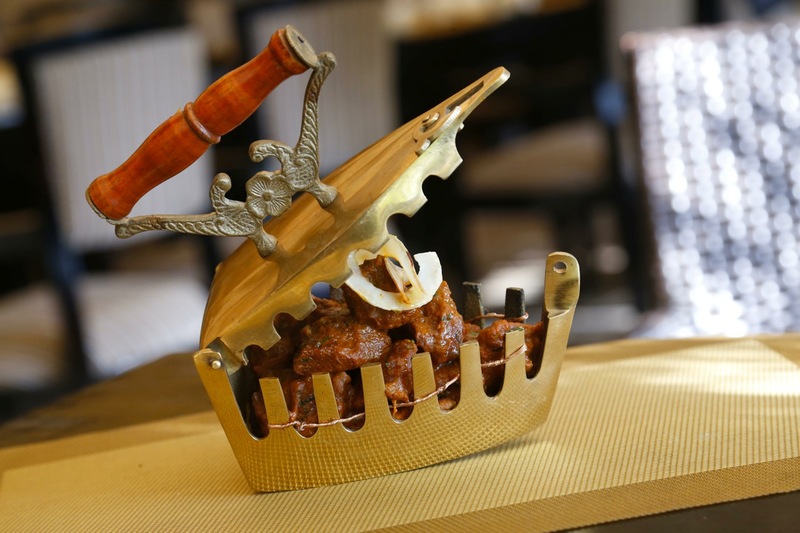 The rich, chunky and tender Mutton Boti arrived in a gleaming antique Charcoal Iron! Then there was the Cheese Fondue with Mathri, a sure-fire conversation starter if you are not already chatting nineteen-to-the-dozen, as the Fondue sauce is infused with our good ol’ Old Monk Rum instead of wine! YEARS may have gone by since we last hung out with our college buddies late into the night, and returned home to grim and very awake parents! But things haven’t changed THAT much really. There we were, a large group of older, wiser(?? ), and in some ways crazier foodies, converging at Juhu on a Friday night, sitting around a large table in the open courtyard of Punjab Grill, chatting, laughing, poking fun, enjoying the finger-licking food and relaxed charm of the place, thirstily sipping on the glug-worthy Old Monk Rimzim, and stealing glances at the ‘starry’ sky (there was a giant, compelling poster of bombshell Sunny Leone in Ragini MMS 2 towering high over our heads, a topic of heated debate!). As one of our closest neighbours, it’s a quick get away that offers lots of everything – the green hills, the deep forests, the blue seas, the golden beaches, and the ancient culture and arts. Of course, being an island, it is virtually like a very large sea-food basket, a fact that works very well with me! 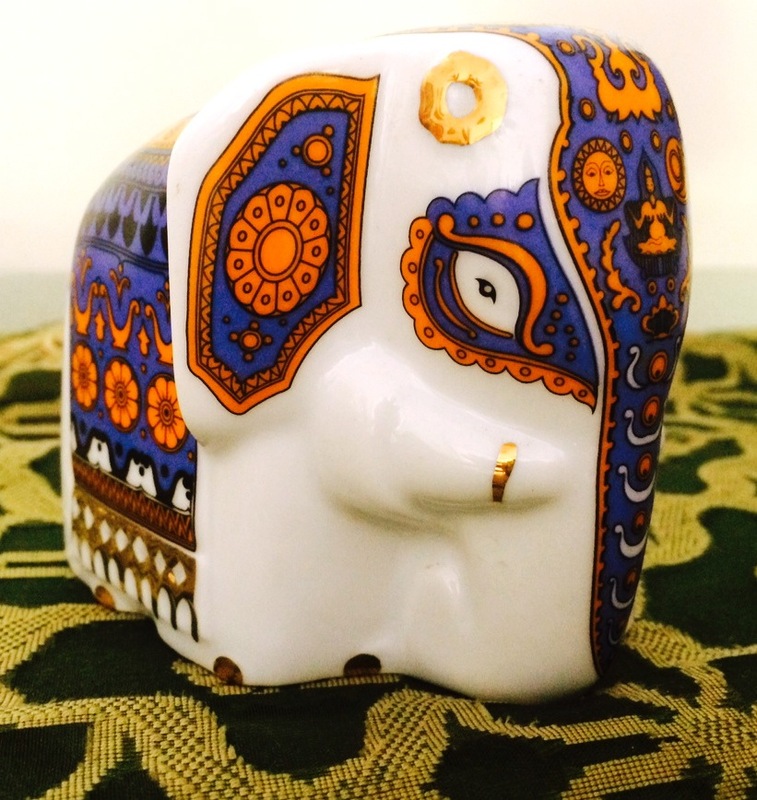 My little Porcelain Elephant with a tea belly! But there’s no getting away from the strange fact that every Sri Lanka holiday plan I have made has gotten postponed or dropped! I have had to make do with stories of charming heritage hotels cut out of sheer rock faces, pristine beaches of Bentota lying invitingly, brilliant green hills of Kandy with a profusion of flora and fauna… Every time, each of these stories has been accompanied by a precious little gift from the Emerald Island – a beautiful, Porcelain Elephant, which secretly stores fragrant tea leaves in its belly, a vibrantly coloured Batik silk scarf that adds a touch of panache to most outfits, a hand-painted wooden mask of Garuda that adorns my ‘Wall of Masks’, an intricately carved ivory letter-opener, or a packet of really large and intensely aromatic Cinnamon sticks! 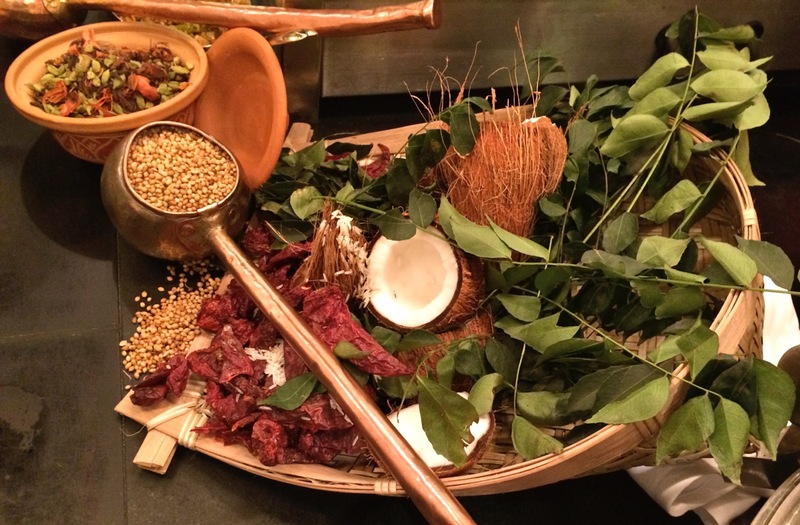 But last weekend I got up, close and personal to this destination that has so far eluded me and did the next best thing to actually visiting it – I made myself at home at the Sri Lanka Food Festival that is currently on at Frangipani at Trident Oberoi. 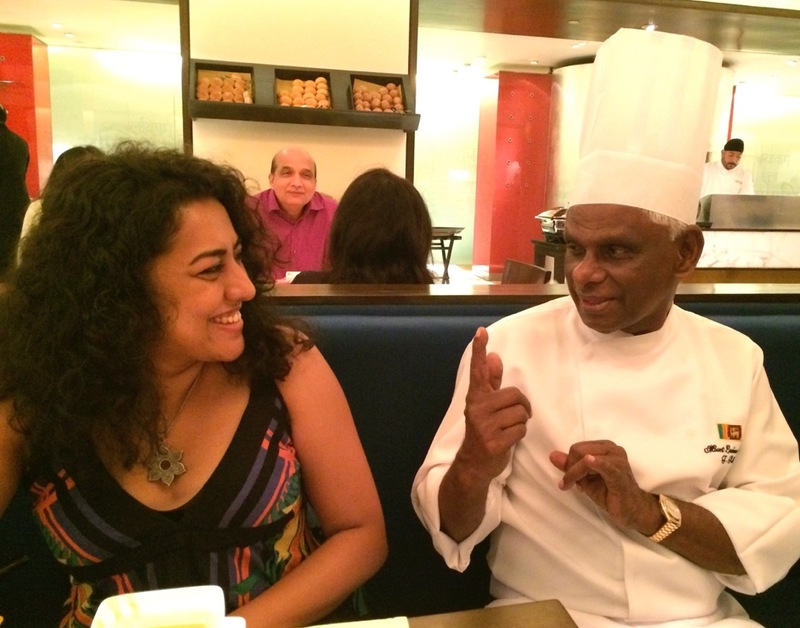 And not just that, I met up with one of the most renowned culinary figures of the world, the legendary Dr. Publis De Silva, who has spent more than half a century preserving, perfecting and promoting authentic Sri Lankan food and bringing it to the world. 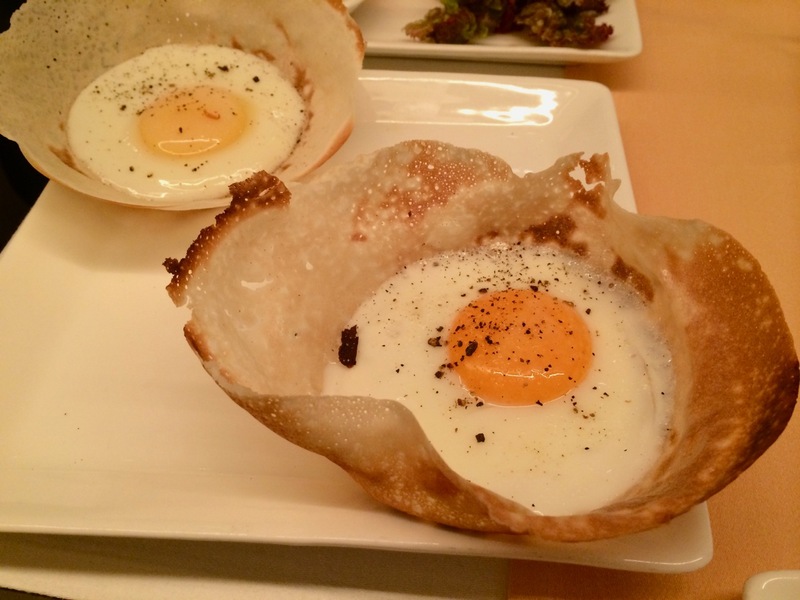 The instantly appetising Egg Appa… best eaten messy! 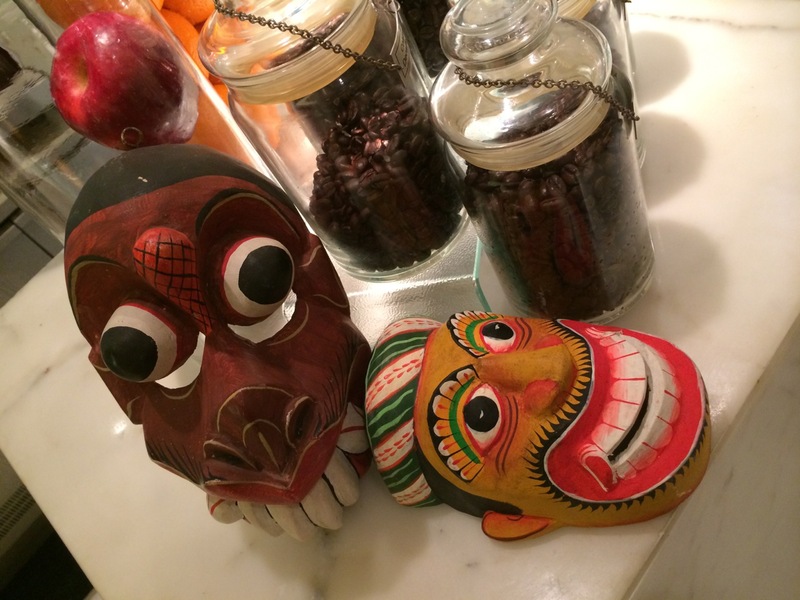 Chef Publis explains a thing or two about fiery spices and cooking! Chef Publis’ gentle manner and twinkling eyes are a direct contrast to the complex flavours, contrasting textures and fiery fares that he cooks up as part of his feast. From the surprising flavours of the simple Cabbage Mellum to the rich and spicy Fish Baduma, the startling presentation of the Egg Appa to the gamey aromas of the Beef Meatball Curry, every dish smacked of a country that loves its homegrown spices like Coriander, Cumin, Turmeric, Cinnamon, Cloves and Caradamom, its omnipresent Coconut palms and its bountiful sea with its banquet of fresh seafood. A smattering of instructions on the messiest way to eat an Egg Appam… a dash of trivia on the various traditional and colonial influences that Sri Lankan cuisine embodies… and a sprinkling of fun facts like the making of the largest milk-rice in the world, spearheaded by Chef publis… Sous Chef Vibhushan, Dilshan Kudahetty from Sri Lankan Airways, Deputy Consul General Senarath Dissanayake plied us with foodie tidbits like this and the evening was already on a high, even before the first delicious Arrack-Whiskey Cocktail hit our table! Madam Samaratunga in a traditional Sri Lankan Saree! Having tasted 22 dishes, including soups, starters, salads, curries, breads and desserts, this is undoubtedly the closest that I have come to Sri Lanka. Now all that’s left is to learn how to drape a Saree in the traditional Sri Lankan way – quite a daunting task, as Madam Consul General, Upekkha Samaratunga, tells me! And the next is of course to actually visit the country and to finally complete the kaleidoscopic picture I have in my mind with my own experiences and adventures!